Liz is a graduate of the Royal Academy of Music, where she studied flute with Gareth Morris and piano with Graeme Humphrey. Whilst at the RAM she performed regularly with all the orchestras, and was also engaged in many internal and external teaching projects, a subject that has always interested her a great deal. For Liz the teaching of her students extends far beyond the turning up to a lesson each week. International engagements have taken her to both the USA and to many parts of Europe, and she has performed extensively throughout the UK as soloist, recitalist and orchestral player. Liz’s career started in Bristol but in December 1988 she moved to Scotland in order for her husband to take up a Cathedral Organist position. Liz became principal flute with the Sinfonia of Scotland, Dundee Opera and Dundee and Perth Light Operatic Company which complimented her work for both ‘Travel Scotland’ alongside a busy teaching schedule. Liz has recorded programmes for the Open University and other children’s programmes and gives Organ duo recitals with her husband. Liz has a broad and extensive teaching career and is in demand as a flute tutor as well as being flute tutor for the National Children’s Wind Orchestra of Great Britain. She has successfully prepared pupils for scholarships to leading public schools, Junior Conservatoires and Specialist Music Schools and now has many ex-students working in the profession. She regularly directs summer schools and other courses for young wind players. It is a mission of hers to encourage as many children to have the experience of taking part in a Federation Festival as possible. Currently, Liz is engaged in a busy teaching schedule which includes Beechwood Park School in Hertfordshire, Musicale in Harpenden, the UEA in Norwich as well as many private flute students as part of the Bedfordshire Woodwind Academy of which she is the founder and Director. Liz is in much demand as an Adjudicator, and directs several successful flute choirs. One of her main aims is to provide as many performing opportunities for all her pupils as possible and firmly believes that encouraging children to perform enhances and benefits all areas of their education. Liz regards it as an enormous privilege to sit on the Board of BIFF. She herself grew up in the Hull and Hornsea Festivals and knows first hand how valuable these experiences are. 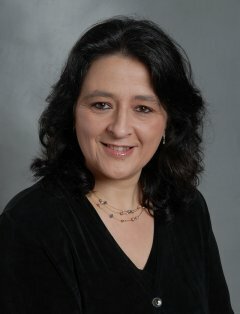 As well as adjudicating at many BIFF Festivals in the UK she has also adjudicated in Hong Kong and Sri Lanka where she will be returning to in March 2013 and August 2014 respectively. Liz is also flautist in Quintessimo (www.quintessimo.com) which performs regularly and which is also in demand for functions and concerts. In October 2010 Liz undertook some voluntary work with many young flautists in Nairobi which culminated in 2 main concerts in which Liz herself gave performances of the Donizetti Concertino. Liz is also a full member of the ISM, a committee member of the Hitchin Festival of the Arts and the local Bedfordshire Representative for The British Flute Society. Liz has 3 grown up children and in any spare time enjoys cookery, spending time in her greenhouse along with spending time in her lovely garden. Alan Childs was educated in Chelmsford and Colchester, Essex, before studying at the Royal Academy of Music from 1980 until 1984. He studied organ with Peter Hurford, harpsichord with Virginia Black and piano with Eric Hope. He gained the GRSM (Hons) degree, 1st class and the LRAM and ARCO diplomas. He was also the recipient of the CH Trevor Prize for Organ, the Frederick Keene Prize for Organ and the Peter Latham Prize for Musicology. After completing his studies at the Royal Academy of Music, Alan was appointed Advanced Keyboard Studies Tutor at Prior Park College in Bath and Organist & Choirmaster at the church of St. Mary the Virgin in Bathwick, Bath. He also taught at schools in Bristol and Berkshire. In 1988 Alan moved to Perth, Scotland where he took up the post of Assistant Organist at St. Ninian’s Episcopal Cathedral. In 1991 he was appointed Organist & Master of the Choristers at the cathedral. During his time in Perth he was also the City Organist and Director of Music at Craigclowan Preparatory School. In addition he also worked with Perth Choral Society, Perth Amateur Operatic Society, Tayside Opera and was a Tutor for the Centre for Continuing Studies at the University of Dundee. From 1995 until 2004, Alan was Director of Music at Beechwood Park Preparatory School, Hertfordshire. With the school’s highly regarded boys’ choir he has toured the USA, Canada, Belgium, Holland, Ireland, the Czech Republic and throughout the UK. He has recorded with this choir and appeared on television broadcasts both in England and Canada. Alan now pursues a freelance career as a teacher, conductor and examiner for ABRSM, travelling to many parts of the world to assess graded instrumental and diploma level exams. His busy schedule also includes his work as Director of Music at St. Mary’s Parish Church, Hitchin, Musical Director and Conductor for the Leighton Buzzard Festival Singers and the Hitchin Thespians. Alan has much experience as a teacher of piano, organ, music theory and aural skills and welcomes students of all ages and abilities. Lessons (except organ) can take place in Barton Le Clay or in the comfort of your own home. Organ tuition is in Hitchin or at a venue of your choice (providing the necessary permission has been sought). began learning the Saxophone at the age of 12, before going on to study at Chetham's School of Music in Manchester with Jim Muirhead. In 2005 he went on to study at the Royal College of Music with Kyle Horch, where he graduated with a 1st Class Hons Bachelor of Music degree. During this time he was a winner of the Yamaha European Foundation Scholarship competition and the Jane Melber Saxophone Competition. After completing his undergraduate degree he moved to Cologne, Germany to further his studies at the Hochschule für Musik with Daniel Gauthier. At the beginning of these studies he was awarded a 'DAAD Scholarship' from Germany, and in 2010 was awarded a 2 year 'Leverhulme Study Abroad Scholarship' which allowed him to complete his Masters degree in the summer of 2012. During this period, he has participated in several competitions, including being runner up of the Cologne Hochschule's annual instrumental competition in 2010, as well as being a finalist in the Clarinet and Saxophone Society of Great Britain Competition in the same year. He was also the first Erasmus exchange student to study at the Conservatoire de Musique in Lyon, where he spent 6 months studying with Jean-Denis Michat. As well as performing as a soloist, Dominic enjoys performing regularly as an orchestral musician, most recently performing in the Cologne Philharmonie with 'MusikFabrik' in the final concert of the 'Acht Brücken' festival. He is the alto saxophonist in two saxophone quartets; 'Forseti' quartet based in Cologne and 'Syzygy' quartet based in London. In October 2011 the Forseti Quartet were awarded the Carl Pontén Prize in the 4th European Chamber Music Competition in Karlsruhe and regularly perform throughout Europe. Syzygy Quartet (www.syzygyquartet.co.uk) were Park Lane Group award winners for 2012, and as well has having performed at the 2011 Huddersfield Contemporary Music Festival, the quartet made their debut performance at the Queen Elizabeth Hall and at St Martin-in-the-Fields in 2012. Having been awarded an MBF Emerging Excellence Award in March 2013, Syzygy will be releasing their debut album later in the year. They shall also be performing ‘Songs for the Coming Day,’ a new work by David Maslanka throughout the UK over the coming 12 months, having performed the UK Premiere in the Adrian Boult Hall in Birmingham in April. Dominic was awarded the 2nd Prize in the 2012 ‘Tunbridge Wells International Young Artist Competition. 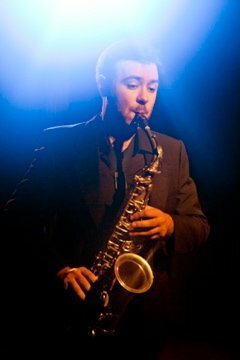 Since 2011 Dominic has been the saxophone tutor for the National Youth Wind Ensemble, and a Deputy Saxophone Teacher at the Birmingham Conservatoire of Music. In April 2013 he took on the role of Saxophone Tutor at Birmingham Conservatoire Junior Department.